Transpacific Industries Group has revised down its statutory guidance for 2011-12 from $17.3 million to $8-13 million. Underlying earnings (EBITDA) including the share of profits of associates has been adjusted from $445-459 million to $435-442 million. The lower than expected EBITDA "is largely due to a decrease in Cleanaway's volumes, exacerbated in Queensland by customers deferring the disposal of waste to landfill in the past two months pending expected removal of the landfill levy from 1 July 2012. Subdued activity in the manufacturing sector has also impacted demand for services provided by the Industrials division," said Transpacific. The company will report on 23 August. Broker Ord Minnett has maintained a hold recommendation on Transpacific Industries following the revised guidance, albeit with a high risk. 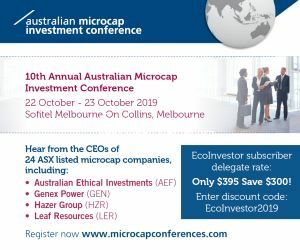 The stock has underperformed the Small Industrials by around 6 per cent since its first half result, with recent share price pressure driven by expectations of an earnings downgrade and a potential equity raising," it said. "While the operating earnings guidance range was only down 2.4 per cent on the guidance range provided at the first half result, given the financial leverage in the business, the implied downgrade to underlying net profit is much more significant. While we don't expect the company will need to raise equity, near-term growth expectations remain extremely sensitive to the movement in underlying earnings. "Following the trading update and revised earnings guidance we have adjusted our normalized earnings per share by -14.8 per cent and -12.7 per cent in FY12 and FY13, respectively," said the broker. (ASX: TPI). Clean TeQ Holdings has sold its subsidiary, UV Guard Australia Pty Ltd, for $1.35 million plus stock. Completion is expected in late July. The purchaser, Nubian Water Systems Pty Ltd of Sydney, is involved in the recycling of water and the provision of clean water. UV Guard supplies ultraviolet disinfection and replacement products to the water and wastewater industries and products complement Nubian's product offerings, said Clean TeQ. Clean TeQ purchased UV Guard in 2009 to enter the water market, and said it has been an important contributor to the profile and performance of Clean TeQ. "The focus for Clean TeQ is to accelerate the marketing and sales of its proprietary water technologies (CIF) for use in the large oil, gas and mining segments of the water market, as seen in the recent announcements for entry to the coal seam gas water market in Australia," said the company. A company owned by the EP389 Joint Venture, Cattamarra Farms Pty Ltd, has entered a contract to the 200 hectares of land on which the Red Gully Processing Facility in WA is to be located. The price is $1,310,000. Greencap said it will declare a fully franked dividend of 0.25 cents per share out of the 2011- 12 second half year profit. The company also paid an interim dividend in February. The company said it continues to encounter the difficult trading conditions, resulting in project delays and a 20 per cent lower earnings expectation on continuing operations for the full year. Although forecast revenue is likely to be up by more than 10 per cent, much of the increase is due to low margin third party work managed by the company and recharged to clients. Greencap has sold subsidiary Trevor R Howse and Associates Pty Ltd (TRH). TRH was fully written off last financial year. During 2011-12, it had further losses of over $600,000. These losses will be classified as discontinued operations in the annual results. Crest Nicholson, a leading UK house builder, has installed a Ceramic Fuel Cells BlueGen gas-to-electricity generator in one of its low carbon homes. The unit is in a four bedroom home on the outskirts of Epsom, Surrey, and is the UK's first installation of a microgeneration certificate scheme accredited micro power and heat fuel cell in a new build home. It provides power, heating and hot water. The Crest Nicholson low carbon home demonstrates how new houses can meet the energy efficiency levels of the Code for Sustainable Homes Level 4, cutting carbon emissions by 44 per cent. Managing director, Brendan Dow, said "With its high levels of energy efficiency, BlueGen provides a clear pathway towards the UK Government's 2016 residential sector targets for all new build houses to be "zero carbon". Demonstrating that BlueGen can provide all the heating for a new home opens up a large market for us, and means BlueGen is not restricted to the market for replacement boilers." Stephen Stone, chief executive of Crest Nicholson, said "As part of this pioneering project we will be carrying out an intensive program of post-occupancy evaluation, which will provide solid data to help us understand how our customers react to the benefits of fuel cell technology." In a big vote of confidence from one of its distributors, Nanosonics has issued $7.5million in convertible notes to international corporate GE through GE Capital Finance Pty Ltd.
four years from their issue. They can be converted at 75 cents per share. Tranche A has a face value of $4 million; Tranche B is for $3.75 million and needs shareholder approval. Nhanosonics said the capital will fund the development and growth of its business. In particular, to expand and consolidate the office and manufacturing facilities of the company and its subsidiaries, conduct sales and marketing for products, and for working capital. The investment was made through the GE healthymagination Fund, which makes investments in healthcare technology companies. GE Healthcare is Nanosonics' US distributor; and Nanosonics has granted GE a first right of refusal for exclusive distribution of the Trophon EPR sterilizer in Japan, one of the largest health care markets. GE Healthcare worked with Nanosonics in 2006 to support the validation of Nanosonics' Trophon EPR. Trophon is installed at more than 800 customer sites globally. "Nanosonics has built an attractive business with an extraordinary product," said Michael Ackland, president and CEO of GE Healthcare Australia & New Zealand. "W believe the cntinued collaboration with Nanosonics will help serve our healthcare customers better, complementing GE's suite of ultrasound technologies, software and services. "By expanding our sales footprint in Japan as well as in the existing locations such as the US, Canada and Europe, GE will help customers improve their overall quality in ultrasound processes. RedFlow is likely to post a loss for 2011-12 of minus $13.2 million, down from minus $7.3 million in 2010-11, said chief executive, Chris Winter. On 27 June shares in Dart Energy fell to an all time low of 14.5 cents. No news accompanied the fall. AnaeCo believes the introduction of the carbon price has created significant uncertainty for landfill operators and waste managers, who will have to pass the cost on to waste disposers in higher charges. But overall, the carbon price is positive for its DiCom waste management system. On 28 June shares n Dyesol fell to a new all time low of 11 cents. Tulloch Management Pty Ltd has reduced its holding from 11.91 to 10.29 per cent. The onmarket indirect sale of 3,183,922 shares by directors Dr Gavin Tulloch and Sylvia Tulloch was worth $406,000. On 27 June shares in Earth Heat Resources fell to a one year low of 1.5 cents. Two days later it requested a trading halt as it expects to make a material price sensitive announcement prior to the market opening on 2 July. Eco Quest has received the second tranche of $100,000 for its 2010-11 Export Market Development Grant (EMDG). The EMDG for $150,000 was awarded by Austrade in December 2011. Island Sky is holding its annual general meeting in Adelaide on 31 July. Among other busness sharehholders will vote on the proposal to sell 75 per cent of key US subsidiary Island Sky Corporation to managing director, Richard Groden. Shares in Kimberley Rare Earths fell to a new low of 6.1 cents on 28 June. A day later the company provided an exploration update for its Malilongue1heavy rare earths oxide (HREO) project in Mozambique, saying early indications from the assay results from the extensive soil sampling campaign indicate significant rare earth anomalism associated with the Vundu radiometric target. Liquefied Natural Gas has been issued its second and final Certificate of Invention Patent from the State Intellectual Property Office of China. The company now has patents in China to protect its two primary inventions - A Method and System for Production of Liquid Natural Gas (OSMRR process); and Boil-off Gas Treatment Process and System (BOG treatment process). "We are very pleased that the company's primary inventions are protected in a market as big as China. As worldwide economic and capital constraints are likely to limit investment in larger LNG projects, we expect and are finding more interest in the OSMRR Technology," said managing director, Maurice Brand. "Having patent protection in China, and in other important jurisdictions, allows the Company to move forward with other international opportunities as well as Gladstone Fisherman's Landing LNG Project in Queensland," he said. The OSMRR process is based on a simple mixed refrigerant system with the addition of conventional combined heat and power and ammonia refrigeration technology to significantly enhance the plant's LNG output and efficiency. MediVac has placed an initial 25,761,928 shares with Republica Capital Ltd at 0.6 cents per share as announced on 22 June. This has raised $154,571. The funding arrangement with Republica will also allow for a payout of the La Jolla funding facility. Orocobre's shares jumped from $1.10 to $1.85 in the last half of June. On 27 June the company's chairman James Calaway, managing director and CEO Richard Seville, and general manager Jose de Castro met with Argentina's president Cristina Kirchner, Jujuy Governor Eduardo Fellner, representatives of national and provincial governments, and local communities. Prior to the meeting, Orocobre received confirmation that the Olaroz Project had been approved by the Expert Committee for assessing lithium projects in Jujuy province. It was also announced at the meeting that Orocobre has entered an agreement with Jujuy Energia y Mineria Sociedad del Estado (JEMSE), the recently formed mining investment company owned by the provincial Government of Jujuy, under which JEMSE will hold an 8.5 per cent equity interest in the Olaroz Project and provide assistance as needed during its development. JEMSE will meet its share of the construction funding required for the Olaroz Project. The funds will be loaned by Orocobre to JEMSE and will be repayable out of the 33.3 per cent of dividend distributions JEMSE receives from the Olaroz Project. All project debt obligations to Mizuho Bank and JOGMEC will have priority over distributions of any profit due to JEMSE. The equity to JEMSE will only be issued on the completion of the financing of the project by Mizuho Corporate Bank and JOGMEC. Orocobre said the arrangements represent an important milestone for the company, and closely align the interests of the Province of Jujuy with those of Orocobre and its project partners. Mr Seville said "The receipt of project approval and our agreement with JEMSE represents the culmination of almost five years of determined work." "We now turn our full attention to the completion of the proposed financing with Mizuho Bank, the associated loan guarantees with JOGMEC, and the finalization of definitive agreements with our project partner, Toyota Tsusho Corporation." Panax Geothermal has welcomed planned increases by the Indonesian Government to incentives for geothermal investment in Indonesia. Indonesia's Energy and Mineral Resources Ministry is proposing either a flat rate of US$125 per megawatt hour, up from $US97/MWh, or to US$120/MWh for developments close to the national transmission grid; and US$145/MWh for projects on smaller Indonesian islands or with limited access to infrastructure. Managing director Kerry Parker "Whichever feed-in tariff proposal is approved, we expect the new arrangements will likely benefit each of Panax's current Indonesian projects  Sokoria, Dairi Prima, and Ngebel, and will provide greater financial returns for additional projects that Panax is currently reviewing. "Indonesia is creating investment confidence and certainty for its renewable energy industry. This increase is the latest in a long list of recent investment incentives being offered by Indonesia for renewable energy projects, ensuring increased energy security for the country." The Fraunhofer Institute in Germany has commenced scientific testing and industrial trialing of Papyrus Australia's banana fibre to produce panel board. The results will produce documented formula and recipes from an independent source to produce certifiable structural panel board made from banana fibre for the Egyptian and European markets.